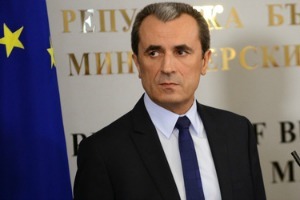 Prime Minister Plamen Oresharski's minority cabinet has resigned. Reportedly, the Prime Minister Plamen Oresharski refused to nominate Kristian Vigenin, the incumbent Socialist foreign minister, as Commissioner. The Bulgarian Socialist party (BSP), the senior party in the minority cabinet, insisted that a Socialist should represent Bulgaria in the next EU executive, and in recent days it became clear that Vigenin, a former MEP known for his pro-European positions, would be the nominee. Sergei Stanishev, the outgoing leader of the BSP, who is also President of the Party of European Socialists (PES), was believed to be a candidate for Commissioner himself, but he said his job at PES was more important and that he would seek re-election in the autumn of 2015. Following a disastrous European election for his political force (see background), Stanishev has recently resigned from the leadership of BSP and is currently an MEP. In contrast, the centre-right opposition GERB (Citizens for a European development of Bulgaria) of former Prime Minister Boyko Borissov, which according to polls is expected to win the next elections, strongly backs Kristalina Georgieva, the current Bulgarian Humanitarian Aid Commissioner, to be part of the team of Jean-Claude Juncker. Early elections will be held on 5 October. In the meantime, a caretaker cabinet is expected to be appointed by the President Rossen Plevneliev, who is also backing Georgieva. It is widely assumed that the caretaker cabinet will nominate Georgieva for commissioner, whose name has recently been mentioned as a strong candidate for the foreign affairs portfolio. However, at the recent summit on 16-17 July, EU leaders decided that the foreign affairs portfolio should go to a Socialist. Therefore, Georgieva appears assured to stay on as commissioner, but her portfolio will have to be negotiated before EU leaders meet again for an extraordinary summit on top jobs on 30 August. The Bulgarian government resigned against the background of a banking crisis, which exposed the murky connections between bankers, politicians and the media. Hundreds gathered in Sofia as news of the resignation broke, chanting “victory”, as two lines of police looked on in front of the parliament building. The Socialist party, which is close to implosion, will hold a congress on Sunday to elect a new leader. But as GERB proved incapable of finding a coalition partner, the Bulgarian Socialist Party (BSP), which obtained 84 seats, formed a cabinet with the Movement of Rights and Freedoms (DPS), a mainly ethnic Turkish force, which obtained 36 seats. DPS is ALDE-affiliated. BSP and DPS have 120 seats in the 240-seat parliament and have survived thanks to support from the nationalist party Ataka. Dnevnik, the EURACTIV partner in Bulgaria: ????????? ???? ?? ???????? ??????? ?? ??????????? Trully a sad day but wihout reforms no goverment stay for long. The former PM Borisov is probably the next PM. But without reforms I can’t see bright fututre. We will see if he has learned anything or is he like the socialists: All talk and no action.